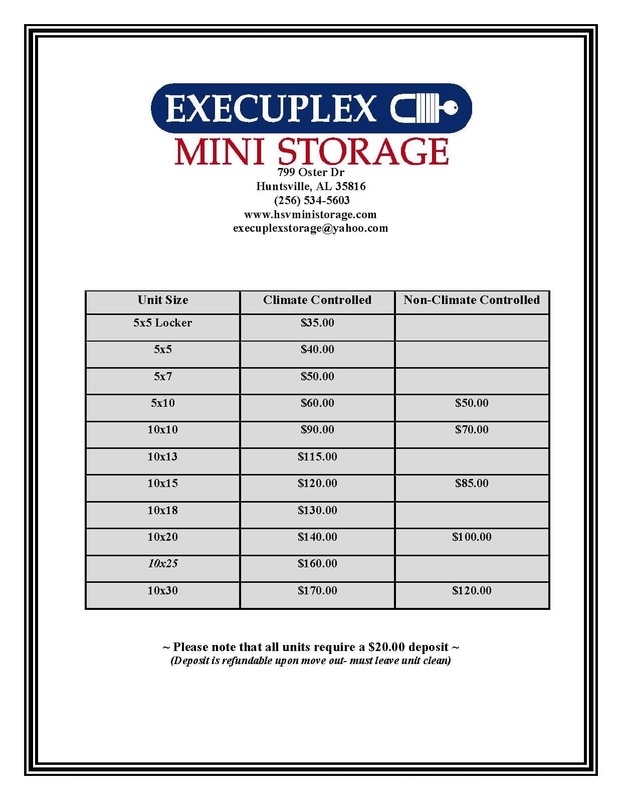 Execuplex Mini Storage rolls out the red carpet when it comes to convenient storage rental. At Execuplex Mini Storage we understand that storage facilities may be a target for theft, which is why our facility is well-lit and under 24 hour recorded video surveillance. And even though our gates are accessible 24 hours a day, you can only get inside with the personalized code provided from our friendly staff. Call (256) 534-5603 today for a storage facility you can trust.